Recently, my husband and I attended a very dear friend's 40th birthday party. As you can see from the pictures below, this was not your average run-of-the-mill celebration. 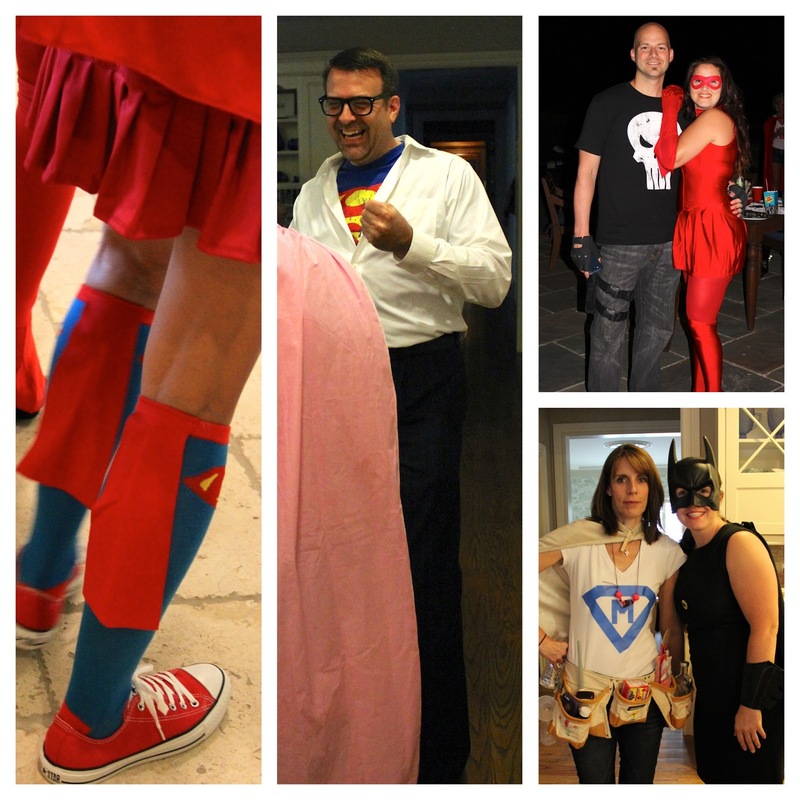 The invitation clearly stated that we were to arrive dressed as superheroes. 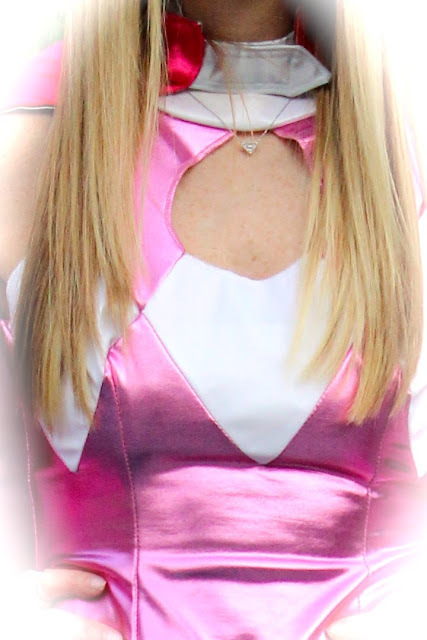 We all took this mission very seriously and of course, as soon as I heard "dress up", I knew my costume had to be something fashion related. 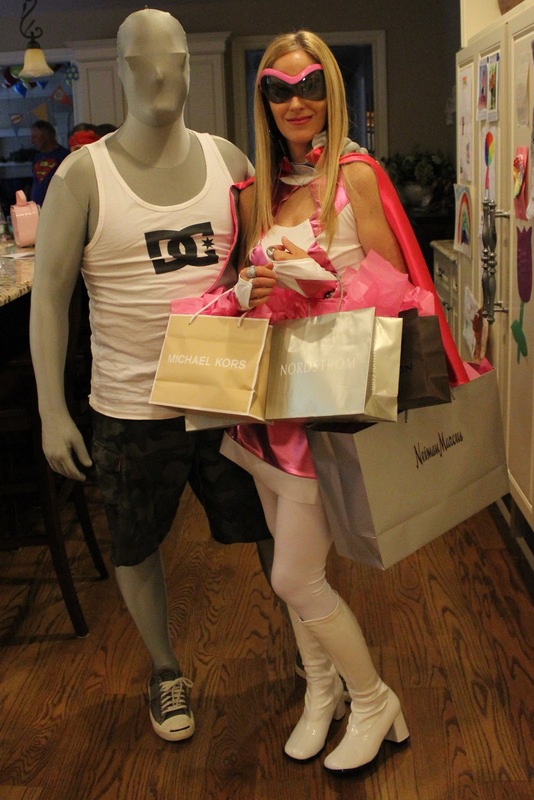 Hence, Super Shopping Girl was born. Needless to say, the birthday boy was Super surprised and it was a Super fun party! Who says superheroes are just for kids? Not my friends! I know this is not one of my normal fashion posts, but every once in a while you just have to let your super silly side out and share it with the world! 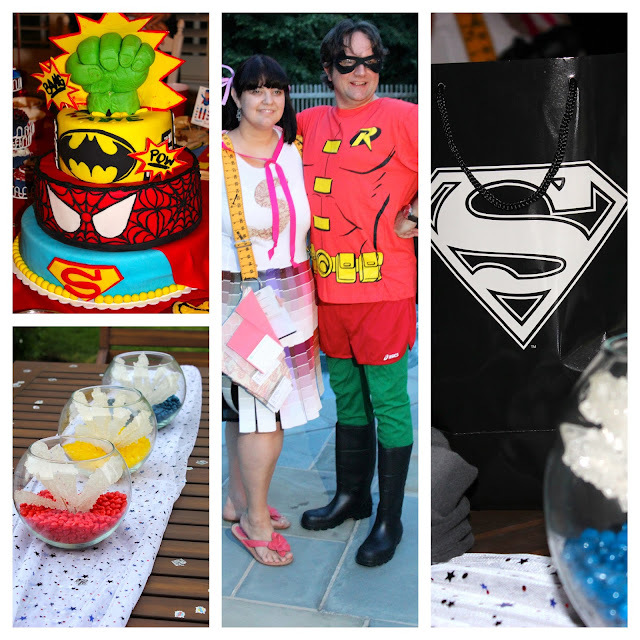 The cake was made by a very talented teenager Holly Silva //Interior designer and wife of the birthday boy was dressed as Super Swatch Girl//No Super Hero party would be complete without candy Kryptonite. Socks with capes attached! Love! 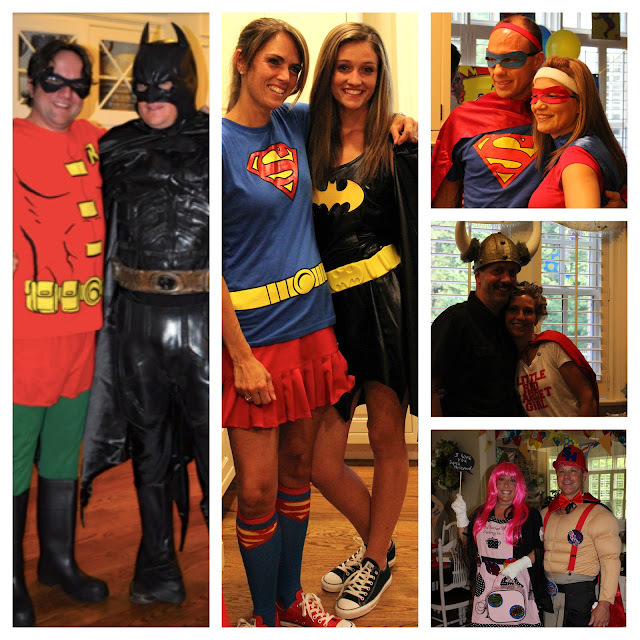 !//Clark Kent yucking it up with Super Swatch Girl//The punisher and The Flash//Super Mom and Bat Girl. The dynamic duo Batman and Robin//Super girl and another version of Bat girl// Super Jack and Super Cade(their kids names, so cute! )//Little Red Target Girl and her Viking husband//Super Husband and Wife. Have a Super Monday everyone! as always you were super fashionable!!! !